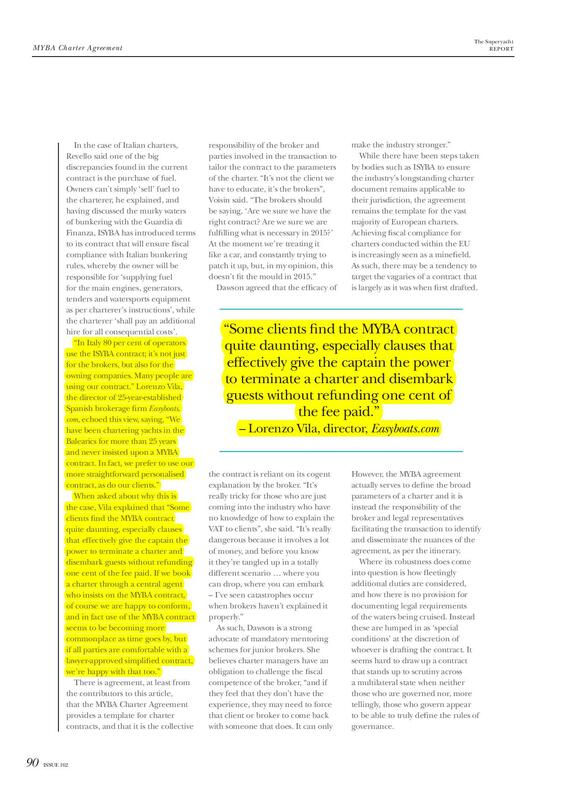 Are MYBA Charter contracts ‘fair & square’? There is some debate as to whether the standard MYBA Charter Contract is outdated and not fit for purpose. easyboats’ Lorenzo Vila was invited to express his views to the prestigious The Superyacht Report.